First of all, let’s talk about the cover models who will be attending. It may actually be the largest gathering of pinups who’ve graced the cover of any one publication in one place at one time. Possibly a bit of history will take place on June 1st in Pottsville PA.
Miss V holds the distinction of being the cover model with the highest sales since we relaunched on July 5th 2018. This very issue holds claim to the best selling edition since then. She’ll be at the Ball but will also be performing burlesque for the event as well. 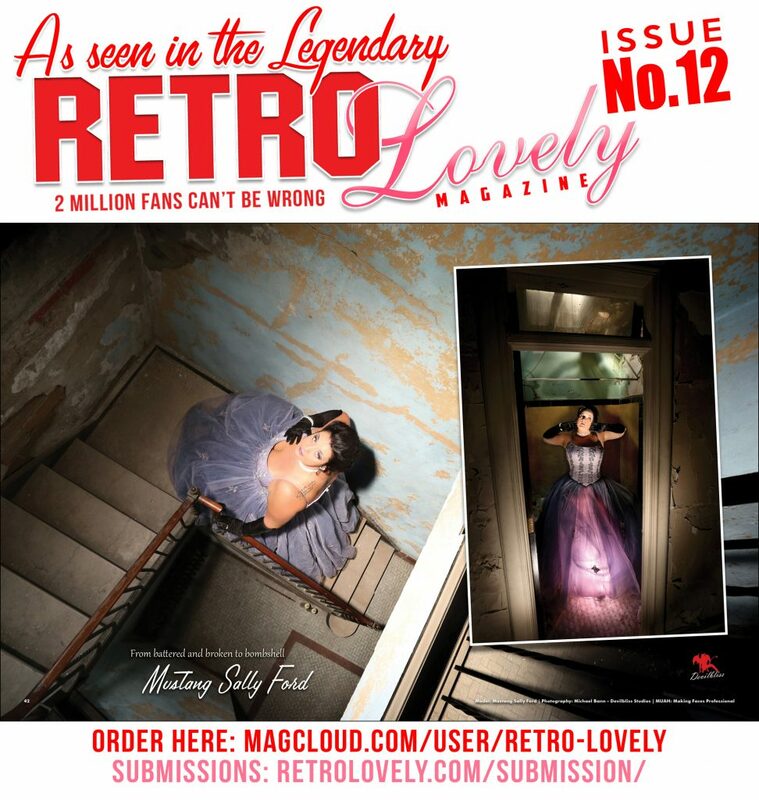 You can get the Taboo Edition with her cover here. And you can get the Miss V Special Edition which features nothing but Miss V. It’s adults only too and quite a collection! Miss Frankie Eleanor hails from the Big Apple and has been making a mark with her Butter Pecan Burlesque shows. She too will be performing at the ball. You can get the issue with her cover here. Direct from TEXAS, Jenna Von Lish has been amassing a formidable following and will be traveling from half the country away to join us in Pottsville. Vera Safire, another New Yorker is also traveling into the wilds of Pennsylvania to celebrate with us. Miss Kitchie Ooh from the Philadelphia area joins us again this year and since last years more intimate gathering has added additional covers and publication in a major hotrod magazine that was distributed internationally on newsstands. Roja Peligrosa holds the distinction of being the only cover model attending who actually lives in the Pottsville area. This does not mean she isn’t a world class model. 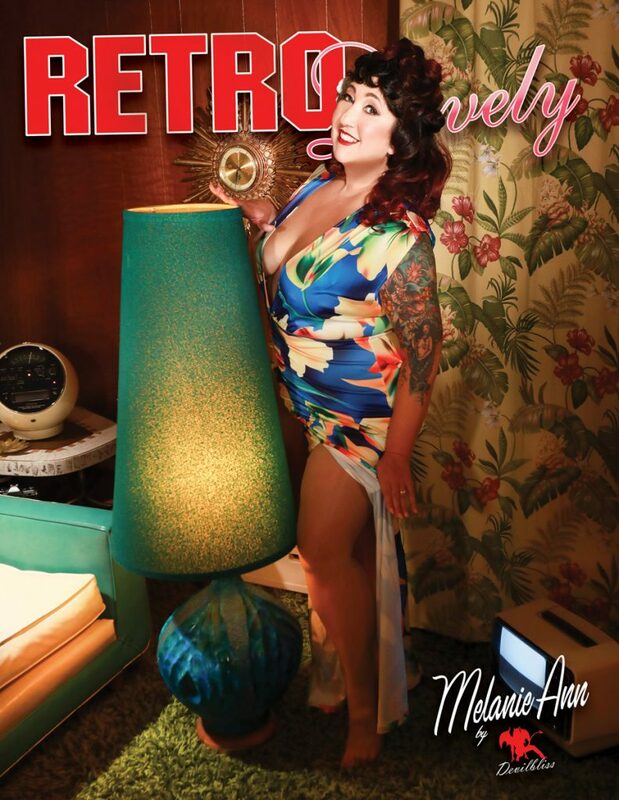 Merri Mayhem hails from the New York City area and has been published in several issues of Retro Lovely along with many other leading current pinup magazines. Manda Fish is another New Yorker who really needs a TV show of her own. Always good for a few thousand laughs we are thrilled she will be in attendance this year. Fae Owens is a relatively new model but she has in a very short time put together an impressive portfolio with possibly the most hair color variety you will find. Calypso Jean is traveling down from Connecticut and joins the ranks of the several out of state models and cover models attending this year’s Ball. 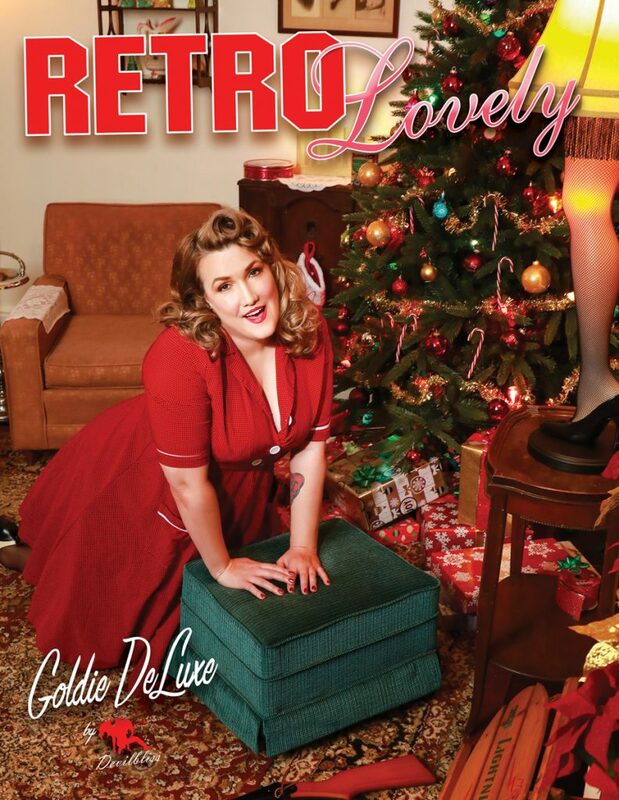 Here she is seen as one of our massive Holiday Edition cover models. Goldie Deluxe is another Pennsylvania model who has also been growing an impressive portfolio. This cover was released just after the Holiday Edition but you can see it was till a “major award”. Melanie Ann hails from New Jersey even though this cover has a tropical feel thanks to the floral patterns in the dress and curtains. Melanie has traveled far and wide as she has added to her portfolio working with many of the most well known artists in pinup. Annie Stilettos joins us from upstate New York. She’s one of the most recent cover models we’ve showcased. 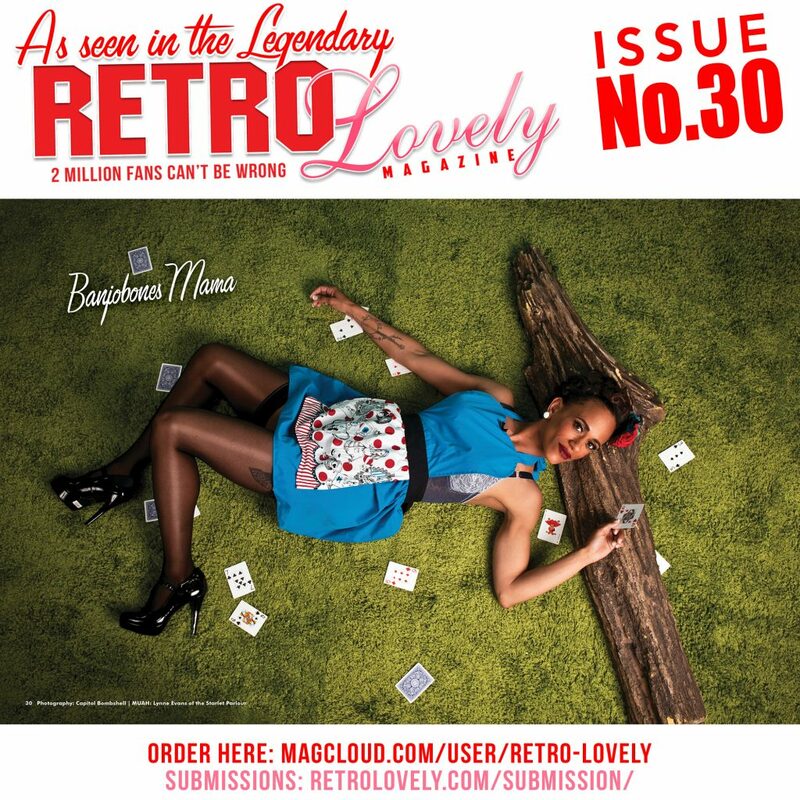 For this issue the images were taken in London England and she had the great luck to be photobombed by the rising star Heather Valentine. Fresh Inkdoll is one of our most recent cover models and is traveling from the commonwealth of Massachusetts to join us.